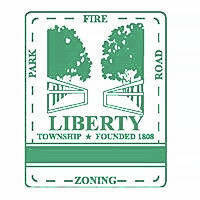 Liberty Township’s attorney filed a motion in Delaware County Court of Common Pleas Friday, May 18, seeking to vacate an arbitrator’s clarification of an original award between the township, International Association of Fire Fighters (IAFF) Local 3754 and United Steelworkers (USW) Local 9110-07. Matt Huffman, township administrator, said the union approached the arbitrator after his original ruling for clarification without the township being represented in the meeting. One of the unknown communications involved Cathy Buehrer, the township’s HR specialist. Buehrer told The Gazette Friday that she had agreed to meet with representatives of the unions to figure out how to come to an agreement. “We had a draft of a memorandum of understanding that could have worked,” she said. However, Buehrer said, she was caught off guard when one of the representatives pushed a button on his phone and the arbitrator answered. Who authorized Bennett to file the paperwork with the court? When Huffman was asked who authorized the filing, he said to call the township’s attorney in the matter. Bennett could not be reached for comment Friday. Trustees approved an amendment Monday, May 21, to the 2018 appropriations for $25,000 to pay legal fees in the negotiations of the upcoming union labor contracts. “We need to add $25,000 for legal fees to take care of the union negotiations,” Denutte said. In a phone interview, Denutte said part of the $25,000 will pay the legal fees of the court case to vacate the arbitrator’s clarification. This entry was tagged Buehrer, D. Anthony Botkin, delaware county, Denutte, Huffman, Liberty Township, ohio. Bookmark the permalink.